I know, I am a couple of days late but such is life right?! I’ve sat down to write this several times now and keep getting pulled away. Saturday was my 1 year bandiversary. On July 25, 2008 I was scared out of my mind, second guessing the decision. Was it the right choice? Would it even help? Would I be successful? Would I heal right being high risk? Well, a few weeks in as I was back to normal food and still dropping weight, my fears subsided. This has not been a foolproof journey though. 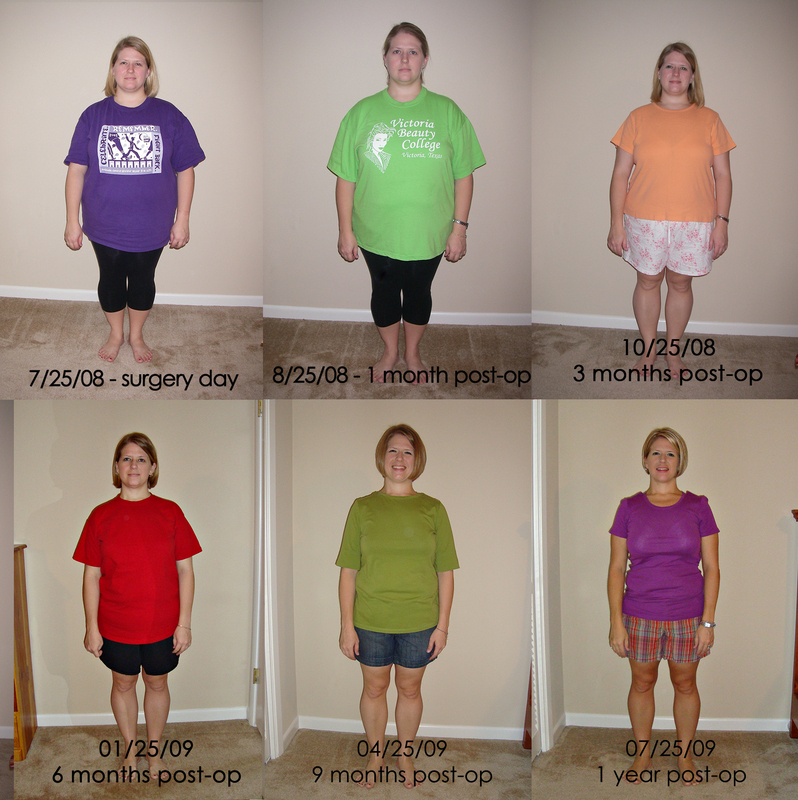 The rapid weight loss caused gallstones which resulted in another surgery, only 9 months from the first. While I knocked my sweet addiction easily in the beginning, it has reared its ugly head again. But, the key is to keep plugging along, one foot in front of the other. This is not a miracle cure, it takes work but it does work if you do your part. Would I recommend it, absolutely! This has been a huge turning point for me. Not only with the reduced health risks, but finding me again. The me I had hidden because I was ashamed of my weight. So I wouldn’t stand out. I’m finding that while I am still an introvert, I am not nearly as much of an introvert as I thought. In all honesty, you could probably even call me a flirt now…LOL! And biggest of all for me, is that I can actually say I ENJOY exercise! Who’d have thought it, coming from the child that used to forge notes to get out of PE and even made a B. Yes, a B in PE! Here are my stats at 1 year…. I am just in complete awe! Thank you for showing the rest of us how it is done. You are so strong and such an inspiration! I have been scared to do it, but you are showing me the reasons why it is ok to give it a try. I have following your success and I can see how happy you are! Know that your journey, although not an easy one, helps the rest of us. You have made a difference not only in your life, but in many other people’s lives including mine. Again, you are an inspiration! Thank you for sharing your experience. Thank God for allowing me to have met you! May God continue blessing you always! Great job, Lacey! Great job! Lacey what a huge testimony!!! Way to go experiencing this! I am right there with you on many many of your personal goals, issues, and now how we can actually feel better and see ourselves better! You Look AMAZING! You have made an amazing transformation! You look so much more confident and TAN lol!!! 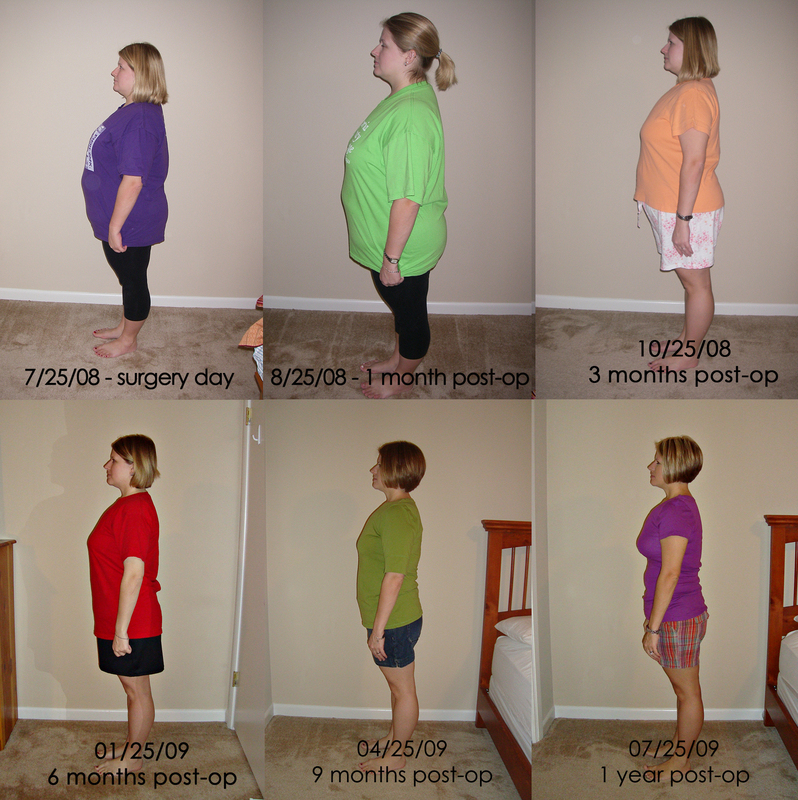 I had a c-section as well and my tummy is not copperating either, Im pretty sure I will need a tummy tuck too. You are doing great! and I hope that we can meet up one day!!! You know what is crazy about your pics? Before, you were a pear shaped. Small legs bigger on top. Usually when people lose weight they still keep their shape, but now you are an hour-glass! Nice little waist. You are one of those people I cant imagine ever being bigger…your just look like you have always been cute and tiny! Thanks for the pictures and everything else! Absolutely fantastic! Congrats to your Anniversary – being healthy and feeling better! Rock on!